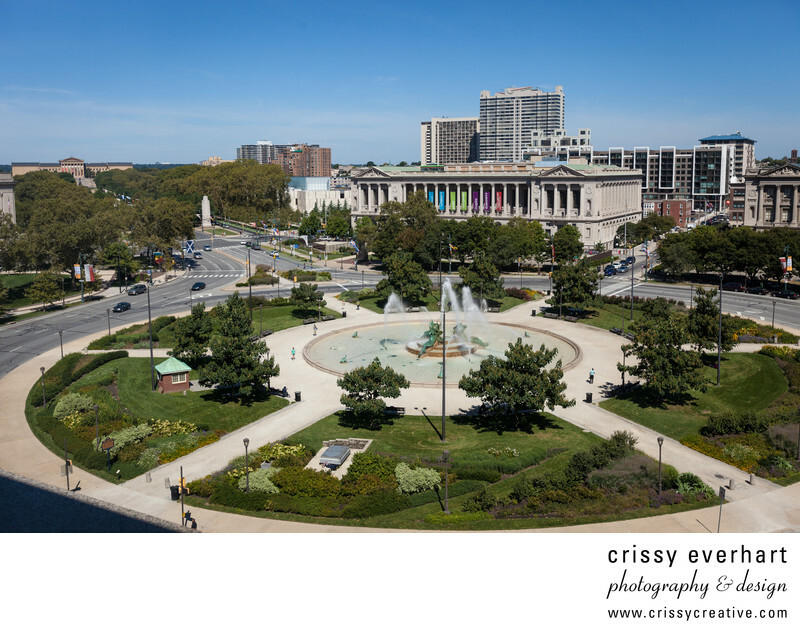 Philadelphia's Swann Memorial Fountain (also known as the "Logan Square Fountain") as seen from what used to be The Four Seasons in Philadelphia. It is now The Logan Philadelphia, part of the Curio Collection by Hilton. From this room view you can see the Philadelphia Museum of Art down the Ben Franklin Parkway, and the Franklin Institute just across the circle. Swann Memorial Fountain serves as the halfway point along the Ben Franklin Parkway, and also works as a great spot for wedding photos!